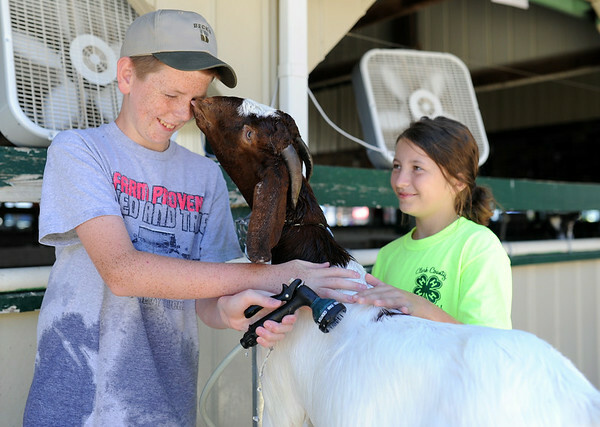 Jack Giltner, 12, receives some affection from while rinsing off Riley Bibb's, 10, boar goat near the stables of the Clark County 4-H fairgrounds Tuesday morning. Bibb houses her goat and a few other animals on the Giltner's farm in Marysville. This will be Bibb's first year showing in the 4-H Female Goat Show Thursday morning.